Side burners are versatile grilling accessories for any home, granting the grill master the ability to pan fry, simmer, sauté and boil in addition to grilling and searing. Improve your outdoor area from a boring residential grill island to an incredible commercial-quality outdoor kitchen with the Single Side Burner from Twin Eagles. 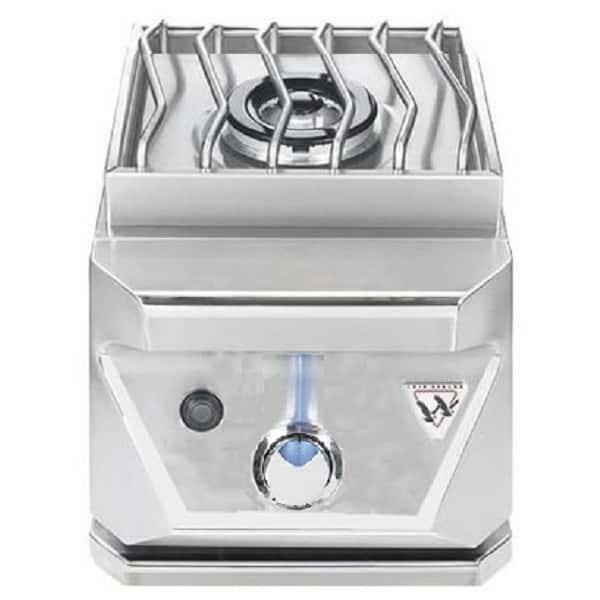 This side burner produces 17,500 BTUs of cooking power, with "S" grates and professional-quality stainless steel construction. All of the welds are seamless on this model, which also offers blue LED accent lights on the control panel. This combination of brawny cooking power and elegant beauty can be yours with Free Shipping Nationwide from Family Leisure!